The Citizens have their second chance at silverware this season after cruising past Burton Albion 10-0 on aggregate in the Carabao Cup semi-finals. 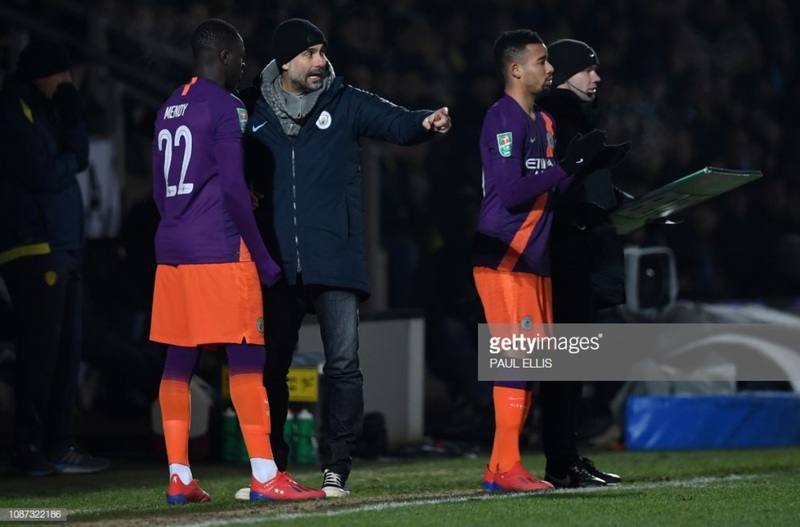 Pep Guardiola has instructed his Manchester City players to make reaching finals a 'habit' after watching his team cruise past Burton Albion in the Carabao Cup semi-finals. The Citizens won 1-0 in their semi-final second-leg against the League One outfit, taking their place in the competition's final for the second year running having lifted the trophy last season. They now have the chance to make it back-to-back titles against either Chelsea or Tottenham Hotspur. Whilst Guardiola was delighted to have reached the final, he believes that achievements such as that should become a tradition for the reigning Premier League champions. Talking after his side's victory at the Pirelli Stadium, the Spaniard said: "I'm happy to be again in another final. It’s good for the club. We will prepare good. Enjoy that moment because we are in another final at Wembley. "Take the habit to get to finals. I know it’s a competition that when you win, you are so happy but when you are out, you are not sad. We are there." Guardiola has now reached a major final in seven out of his eight seasons as a top-level coach. He told that it will be his aim to lift yet another trophy and that can be seen in how seriously that his team have taken their run in the Carabao Cup. He said: "We took every game seriously and we are in the final. We won one title this season, the Community Shield. We are in the final [of the Carabao Cup] and are of course going to try and win it." Despite coming into the second-leg with a nine-goal advantage, it was not a straight-forward affair for the visitors, hence the slender scoreline. Guardiola admits that he was impressed with how Nigel Clough's men reacted to their drubbing at the Etihad Stadium. He said: "In the first-leg, we were at a high level. It’s different to play at the Etihad Stadium to here. I was curious to see how Burton would react starting the game at 9-0. It is pride and not accepting what happened in the first game and play like they are. They have to be so proud. "They had two or three clear chances. We know they link with the striker. Boyce is a really, really good player. They were intense, aggressive. They didn’t give up. "With 9-0, they can play without desire but it was the complete opposite. I think it’s an incredible achievement for them to be in the semi-finals. Big congratulations to them."